Non Surgical Rhinoplasty (nose job), when performed by a Rhinoplasty Specialist, is a safe and effective way of achieving dramatic results with minimal downtime. Non surgical rhinoplasty does have limitations relative to surgical rhinoplasty, and evaluation by a Rhinoplasty Specialist experienced in both surgical and non surgical rhinoplasty is optimal for achieving the best results possible. 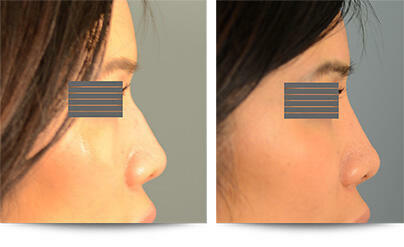 Non surgical rhinoplasty is performed using facial fillers. 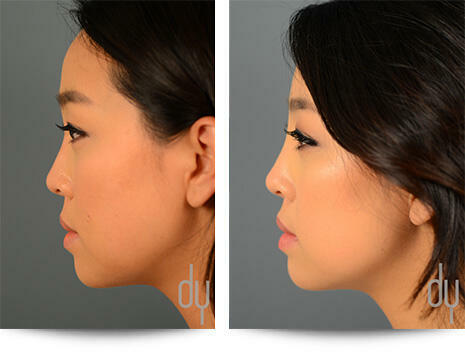 Dr. Donald B. Yoo prefers to use hyaluronic acid fillers such as Restylane® or Juvederm Voluma® when performing non surgical rhinoplasty as they have desirable physical properties (resistance to deformation and cohesion) for reshaping the nose, while remaining very safe and well-tolerated. Hyaluronic acids occur naturally in the body in the skin, and thus fillers such as Restylane® and Juvederm Voluma® present virtually no risk of allergic reaction; more importantly, they are both reversible – meaning they can be dissolved and completely removed if any issue should arise or if the patient simply does not like the effect achieved with these fillers. Non surgical rhinoplasty with Restylane® or Juvederm Voluma® is temporary, and touch-ups will be necessary every ~6-12 months. For patients wishing to reshape their nose in a temporary manner, and with less downtime than surgical rhinoplasty, non surgical nose job presents an excellent alternative. Non surgical nose job is effecting at creating a straighter profile and for creating greater in symmetry in noses that have areas of depression or collapse. 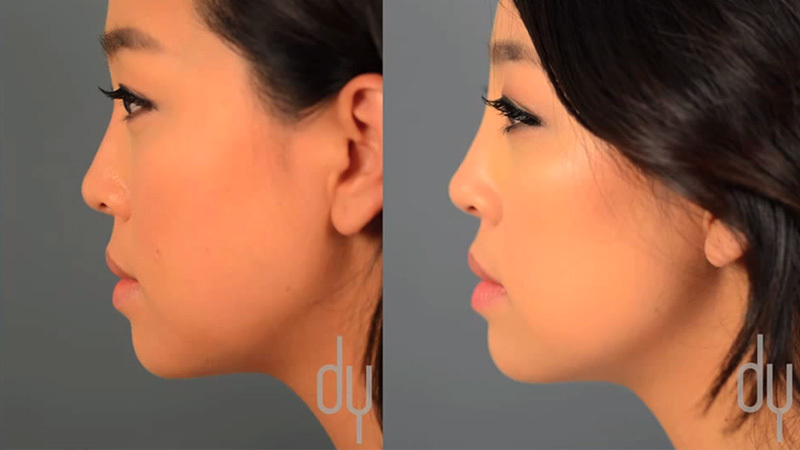 Dr. Donald B. Yoo is a Rhinoplasty Specialist and an expert in both surgical rhinoplasty and non surgical nose job and thus is optimally qualified to assess each patient for candidacy with either procedure. 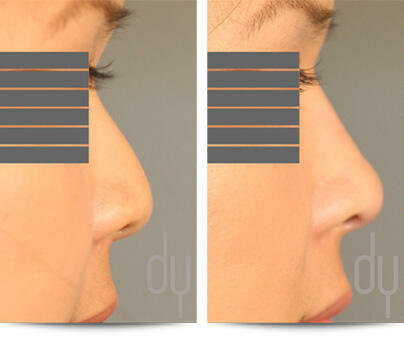 In the hands of a Rhinoplasty Specialist, non surgical rhinoplasty can provide beautiful results in a very safe manner.